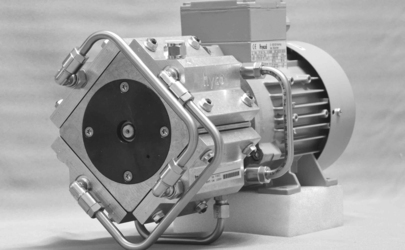 The oil-free and dry compressing small piston pumps from the PB-2 product line can be used for evacuating, conveying and compressing gases and vapours up to a final vacuum of 80 mbar. Six different ranges with further unique models are available within the product line. (Curve presentation of the standard models, per model range). The PB-2 product line is equipped with a single-cylinder piston pump with con-rod drive. The piston, rigidly fixed to the con-rod, carries out a tilting motion in the cylinder when moving up and down. The piston rings are therefore more heavily stressed than with a linear drive. The length of the con-rod from the eccentric shaft to the piston is however designed to impart as small a tilting motion as possible to the piston. The eccentric shaft with con-rod is additionally ball-bearing mounted in the carrier plate and does not sit on the motor shaft. This ensures that the motor shaft and the A-side motor bearings are not loaded. This well-thought-out design also ensures a long service life for the mechanical components. The materials used, such as aluminium for the gas-conducting components, stainless steel for the valves and piping and VITON (FKM) for the diaphragms, open up a wide range of application options with non-aggressive gases. Oil-free, dry-running piston pumps for transporting, evacuating and compressing gases. The extremely smooth cylinder running surface guarantees low friction for the PTFE piston rings. 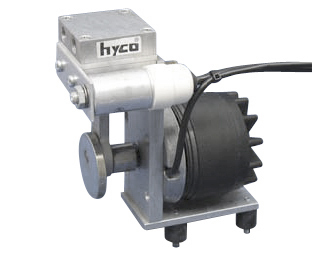 Quiet and low-vibration thanks to precise balancing of pump and drive motor. 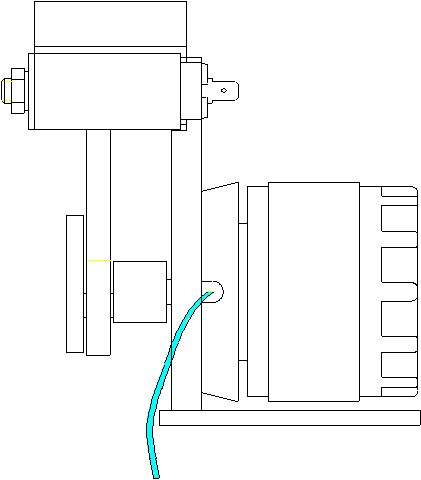 Permanent operation possible through optimised cooling and separate mounting of the eccentric shaft. Maintenance-free thanks to encapsulated ball bearings with special grease filling. Interested? 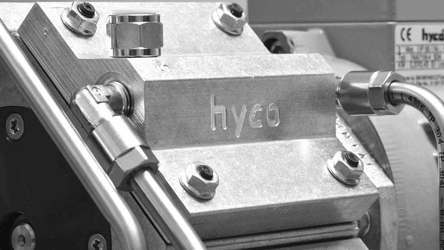 Send an request to hyco directly!